Grand Central Publishing, 9780446556095, 272pp. Margaret Roach worked at Martha Stewart Living Omnimedia for 15 years, serving as Editorial Director for the last 6. She first made her name in gardening, writing a classic gardening book among other things. She now has a hugely popular gardening blog, "A Way to Garden." But despite the financial and professional rewards of her job, Margaret felt unfulfilled. So she moved to her weekend house upstate in an effort to lead a more authentic life by connecting with her garden and with nature. The memoir she wrote about this journey is funny, quirky, humble--and uplifting--an Eat, Pray, Love without the travel-and allows readers to live out the fantasy of quitting the rat race and getting away from it all. In 2008, Roach gave up a lucrative editorial position at Martha Stewart Living Omnimedia and chose "a path towards things they don't necessarily pay you or pat you on the back for." She moved to a small country house in upstate New York and immersed herself in her passion for gardening. The transition was not easy. Because she was so accustomed to doing rather than simply being, the slower pace of life felt alien to her. Worse, the nagging desire for a "happily ever after" with a man still persisted. Eventually, Roach found companionship in a half-wild stray tomcat. Unlike the other males she had known in her life, the cat "promise[d] nothing he couldn't deliver." Other animals-frogs, birds and snakes-became "teachers" who initiated her into the mysteries of metamorphosis and rebirth. Through the lessons these creatures offered, the author learned to embrace change, welcome the shedding of her old identity and understand that she, like them, was "twice-born." 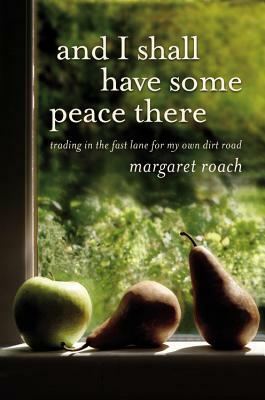 In the daily routine of planting, trimming, composting and harvesting, she discovered simple yet profound truths that she had overlooked in her former fast-paced life. The limits imposed by the author's perspective are cast into relief by a setting that is also kept within defined boundaries-in this case, the writer's home and garden. Yet within the narrow confines of her world, Roach found a creative freedom that reveals itself in the charmingly quirky language she uses to chronicle her quotidian adventures. What distinguishes this "back to the land" memoir from others like it is that it makes a quiet but important statement of modern female autonomy and agency. As the author lived her dream of corporate escape and fell in love with the solitary life, she expressed personal power while exercising a choice that had not always been open to career women.